And we have plenty of it. Our company has a staff of over 20 employees, including principal partners Tom Berner and Neal Carson. Tom and Neal each have over 20 years in the printing trade. 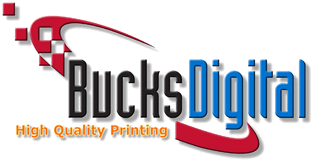 Their combined skills in typography, design, printing, bindery, and fulfillment, from traditional methods through today's digital technology make Bucks Digital Printing a very unique company. Tom's experience began with the operation of offset and bindery equipment. He advanced into production scheduling and then became Director of Operations for a Fortune 100 inhouse plant. Neal began in the family typesetting trade, learning the ropes of type and design. He then worked with one of the nation's largest printing companies as a Systems Manager and Database Specialist. In 1990, he opened Bucks County Type & Design, the area's first service bureau, providing prepress and film services for many local printers.